Are you ready to explore the creative art of DIY framing? Planning picture frames for a space is not only fun; it’s also rewarding. Showcase your sketches, paintings, photos or portraits with the perfect frame. As St. Patty’s Day approaches, let’s explore some fun tips for DIY framing. Start with the end in mind. Think about where you’ll display the frame first. Get measurements to make sure reality matches what you see in your mind’s eye. Are you using several different-size or abnormal frames to create your grouping? Will the primary color in each frame somehow complement the others? Consider the whole picture. Then plan your picture frames. Just because you love the ornate curves of a Victorian-era frame doesn’t mean it will go with your photos of shamrocks or in your home. Consider how the frame complements the subject matter, colors and general feel of the image as well as the space in which you will hang it. An image going to the edge of the frame can make picture frames seem crowded and unprofessionally-framed. There’s just something about wide, open spaces that make everything better. Just ask the millions of tourists who visit the rolling hills of green in Northern Ireland each year. A mat helps you create that open space in a microcosm to place proper focus on your framed image. It may be cloudy today. But what about tomorrow? Several hours of direct sun will bleach even the most vibrant colors. Consider this before choosing a location for a treasured picture. Do you need to find those perfect frames, or are you looking for a professional who can help you create what you envision for your space? 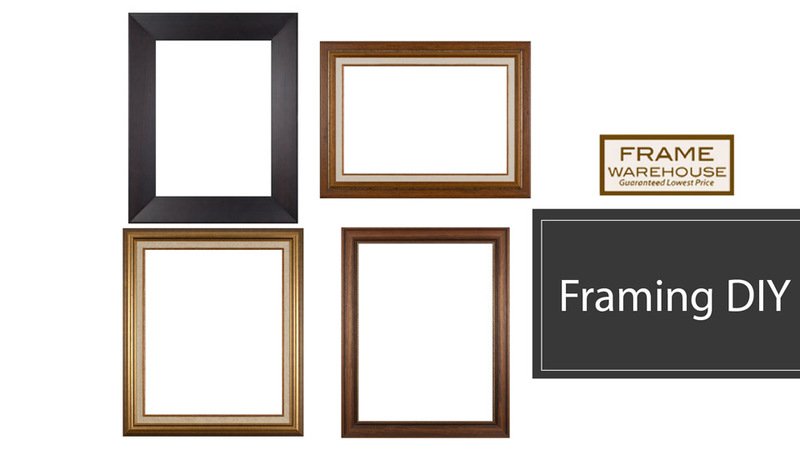 Shop our frames online or visit a Frame Warehouse near you.